Directed by Alex Levitsky & Tim Bungeroth. Written by Keith Voss (Story), Tim Bungeroth (Screenplay) and Alex Levitsky (Radio Script). Music by John Williams and arranged by Alex Levitsky. A Raiders Radio Production in association with the IndyCast. 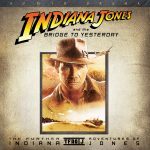 This week we have a teaser to the soon-to-be released original audio drama, Indiana Jones and the Bridge to Yesterday, Official IndyCast correspondent Mitch Hallock is back with another Raiders Rant, Eugene Shin has some great audio from the Raiders panel at Pensacon, Ron has some more Indy trivia, Chris A returns with IJ in the UK, Ron Phelps has another Lost Delta update, Morgan and Rich are back with the Expanded Archives of Doctor Jones and we have more of your great emails! 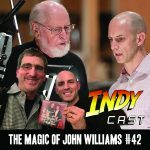 This week Harrison teams up with Amazon (the company not the river), Indy gets ultra high def, Official IndyCast correspondent Mitch Hallock is back with another Raider’s Rant, Ron has some more great Indy trivia, Joe Stuber chats Indy with actor Michael Rosenbaum, we have another Indy merchandise update with thanks to Ron Phelps, Indiana Mic talks boots and we have more of your great emails!